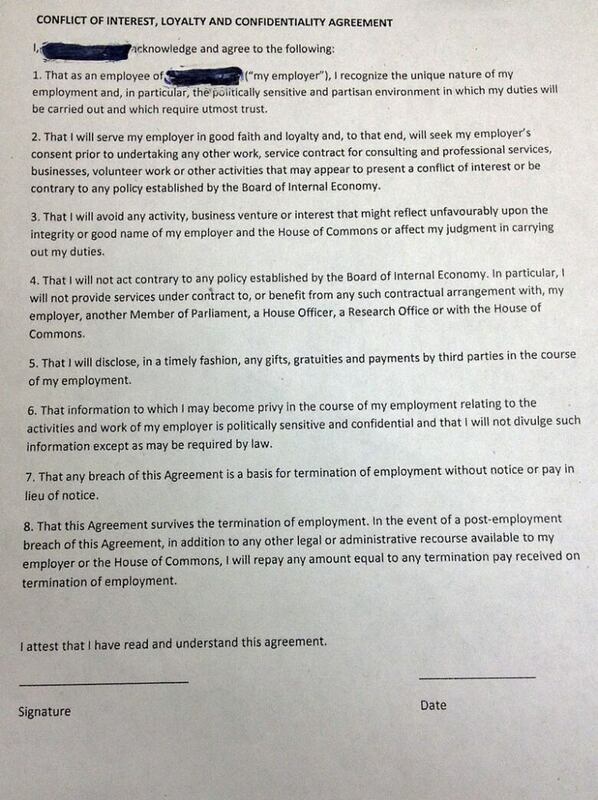 Parliament Hill staffers may be about to win an eleventh hour reprieve from a controversial new confidentiality agreement that imposes sweeping lifetime restrictions on what they can and can't say about their job. Kady O'Malley has the details. 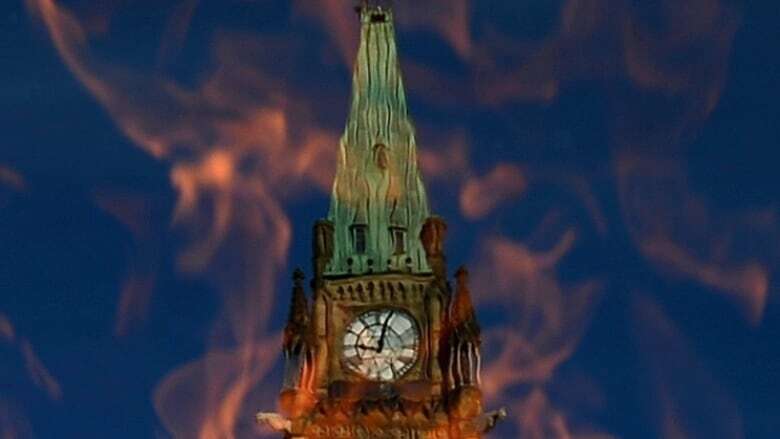 Parliament Hill staffers may be about to win an eleventh hour reprieve from a controversial new confidentiality agreement that imposes sweeping lifetime restrictions on what they can and can't say about their job. According to a spokesperson for government whip John Duncan, her boss "is willing to work collaboratively with the other parties" to bring the new agreement back to the Board of Internal Economy for review. The apparent reversal comes just days after news of the new contract requirement was leaked to CBC News and other media outlets by an apparently disgruntled anonymous staffer. The other parties haven't formally responded to Duncan's unofficial bid to reopen the matter at the next board meeting. But New Democrats point out that even before Duncan's latest comments, party whip Nycole Turmel had already begun musing publicly about going back to the drawing board, telling the Huffington Post that she was "ready to revisit the policy" if needed. Turmel went even further when asked Friday about Duncan's apparent change of heart, telling CBC News that the text of the new contract needs to be revisited. The language "appears to go further than the intent," she says, which was simply "to protect the confidential information of Canadians." Liberal whip Judy Foote confirmed that concerns have been raised with her office, which is why she agrees that the directive should be reviewed by the board. In the meantime, Independent MP Brent Rathgeber — who is also required to comply with the newly imposed policy change — said he plans to talk it over with his staff at a regularly scheduled weekly meeting later Friday. "My initial sense is that it is both unnecessary and likely unenforceable," he said in an email, although he acknowledged that he hasn't yet perused the text of the new contract. In general, however, he supports whistleblower protection "as a check on power or bad behaviour," and isn't sure why the board would require it if an individual MP did not. "I have always had a limited clause dealing with the confidentiality of our constituency casework files," he said. "But I'm against blanket and indefinite non-disclosure."